Thursday, September 4, 2014 2:00 pm. 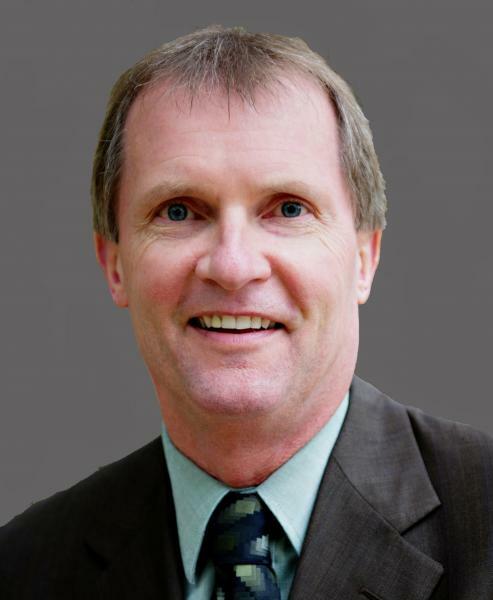 DOUG SPEIGHT is exploring joining a financial-technology accelerator to ensure his advanced-manufacturing equipment-leasing startup gains traction before the niche becomes too crowded. Speight, who currently operates his Cathedral Innovation Group and its Cathedral Leasing subsidiary from Oak Ridge, confirmed last night that he recently applied for admission to the Wells Fargo Startup Accelerator in San Francisco; and, he is scheduled to meet today with officials of Queen City FinTech Accelerator, at Packard Place in Charlotte, N.C., to explore the program there. He is also visiting prospective lending partners based in the city. 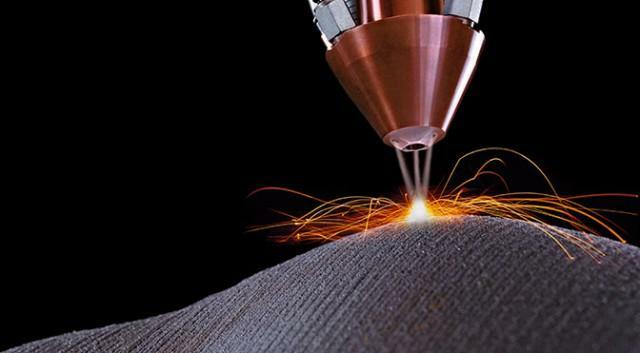 Speight, a 43-year-old North Carolina native, told VTC he believes he has only a nine-month window in which to establish traction in leasing and related lease-financing of equipment vital to 3D or additive manufacturing, in particular. He said that despite his deep professional and personal ties to OakRidge-Knoxville, given his need quickly to secure strategic credit partners and other relationships, he cannot entirely rule-out the relocation of his firm's headquarters to one of the accelerator cities or some other money-center city. Speight's sense of urgency seems well-founded: Private-equity entities have already begun to target the advanced-manufacturing equipment-leasing segment, and strategic financial players are likely to enter the market, soon, Speight said. So, in less than a year, Speight said he must line-up sufficient credit partners, generate revenue through advisory services while ramping-up the broader business -- and mount a Seed capital raise during the 4Q14-1Q15 timeframe. Asked in an Aug. 28 interview whether his plan would be eventually to sell Cathedral Innovation Group to a strategic bidder such as Stratasys, 3D Systems or other incumbents, Speight said, "That would be a very attractive outcome." VTC notes that 3D Systems, the company that has long-asserted it invented 3D Printing and which IPO'd in 2011, is headquartered across the stateline from Charlotte, in Rock Hill, S.C. -- a 35-minute drive from Packard Place -- and has made numerous acquisitions during its 18-year history, according to CrunchBase. During the July 31 Chattanooga GigTank Demo Day, which was weighted toward 3D Printing, expert consultant Terry Wohlers told his audience, "It's almost like somebody flipped a switch," igniting the expansion of the additive manufacturing and 3D printing sector. Wohlers subsequently published his estimate that the sector will grow to $12.8BN revenues by 2018, just four years from now. Speight stressed that the 3D/advanced manufacturing market is a global opportunity. Though for Cathedral the U.S. market is primary, its credit partners and others are likely to take Cathedral into Southeast Asia, Australia, Latin America and other regions, he said. Just yesterday, 3d Hubs, a global venture with a global network but a more narrowly focused business model, announced completion of its $4.5MM Series A capital raise, to support its 3D printer-matching services, with London-based Balderton Capital leading the round. 3D Hubs is based in Netherlands and just opened an office in New York City, which 3DHubs described as the "hotbed" of 3D. 3D Hubs contends that open-source 3D printer-sharing is gaining substantial share from 3D Systems and from Stratasys, which has headquarters in Minneapolis and in Israel. In addition to Speight's personal ties, considerations that could hold Speight and his startup in Tennessee includes his sense that Tennessee has, hypothetically, an opportunity to become a global manufacturing innovation hub. Also, said Speight, ORNL's DOE Manufacturing Demonstration Facility (MDF) and the supercomputing capacity of ORNL and the University of Tennessee are important selling points, he noted. And, Chattanooga GigTank's focus on 3D Printing and its launch of the nation's first 3D accelerator in a community with high-speed Internet are considerations. The contents of Cathedral Innovation Group's portfolio of business lines seem likely to evolve, rapidly. Eventually, in addition to advising and facilitating equipment leasing and aftermarket distribution and services, Cathedral Innovation could create an online marketplace for the rent or sale of additive manufacturing equipment or related assets, Speight acknowledged when asked. Speight made no mention of also running a business-development corporation for product development and related efforts, though TVC research shows that a role for BDCs has been mentioned in some press coverage of the sector. State records online show the company's previously pending LLC charter was activated in Tennessee, Aug. 29. Soon, Speight said, the enterprise will involve a parent or holding company, and "an investable continuum" of operating subsidiaries or holdings. The company is styled as a finance and advisory firm, and may also engage in new-product development. In addition to the concentration of financial industry in Charlotte, Speight's ties there probably exert a strong pull: He earned a degree in industrial technology and an MBA, respectively, from North Carolina A&T State University and the University of North Carolina. And, during a 14-year stretch, Speight worked in North Carolina for a series of Angel investment, university, professional engineering and other institutions and companies. In 2009, he joined the partnerships directorate of Oak Ridge National Laboratory (ORNL), eventually taking an entrepreneurial sabbatical. He then began commitally pursuing Cathedral's launch. Speight served as entrepreneur in residence (EIR) for the Chattanooga GigTank's latest accelerator cycle. His LinkedIn profile is here. Excitement in the sector seems to be building: VTC research easily turned-up recent announcements of 3D and related lease-financing and equity-investment initiatives by GE Capital, Deutsche Private Equity (DPE), and others. In 2013, DPE invested in Germany-based SLM Solutions, which IPO'd on the Frankfrut exchange earlier this year, in a roughly $240MM offering, as reported by media. Speight marks the conception of Cathedral Innovation at June 2013, when he says he realized that, with prices for a single piece of equipment as ranging from $450K to "at least" $1.2MM, "pricing has been out of the range of most universities and mid-market companies and research institutions," and could quickly drain resources of small companies. Leasing allows companies to preserve cash, gain tax advantages and stay abreast of technologies they could not otherwise afford, he noted. The industrial-grade, direct-metals equipment has, thus far, been made mainly in Netherlands, Sweden, France and Germany, he said. Asked how he chose the name of his company, Speight explained, in part: "Everything we do is a testament to something. I wanted to have a constant reminder of why I'm doing this; because, I do feel that I'm called to participate in this industry, in this way."